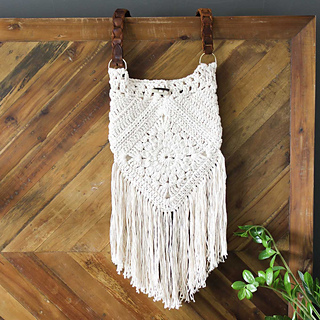 With interesting construction and tons of texture, this “Urban Gypsy” boho bag pattern is loaded with bohemian charm! 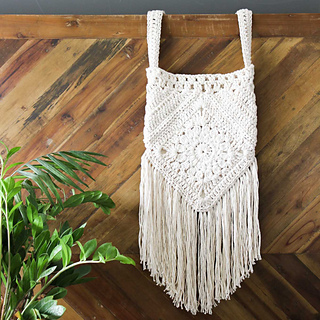 The size of this crochet purse is perfect for packing a wallet, a snack and a water bottle for your next music festival or farmer’s market. 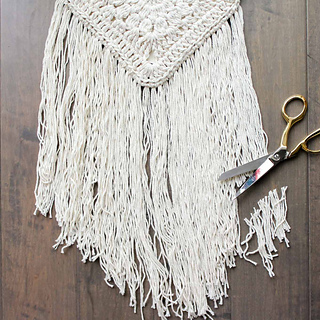 It’s built from a pair of squares and triangles which are easily sewn together before a strap is added. 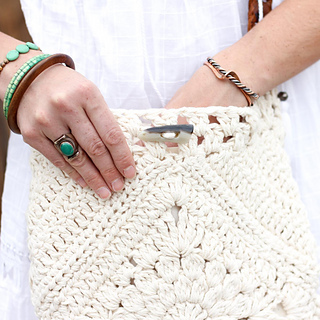 Pattern includes instructions for two strap options, a quick and customizable crochet handle as well as a leather strap made from a thrifted belt. 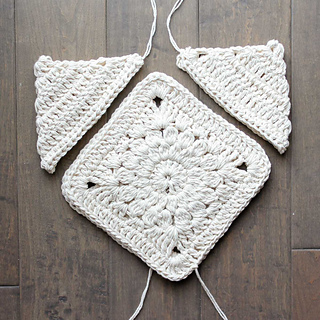 Lots of instructional photos will lead you through the pattern step-by-step!